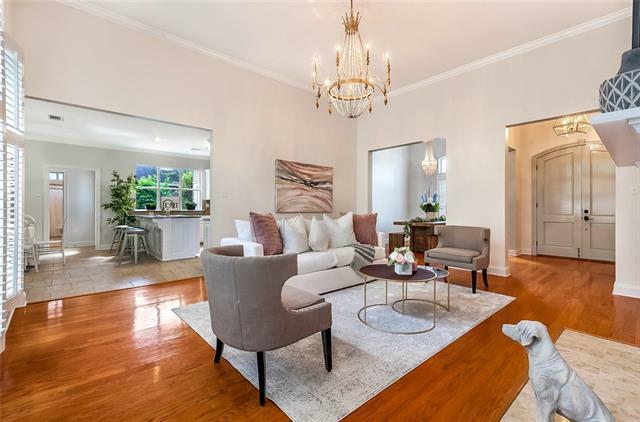 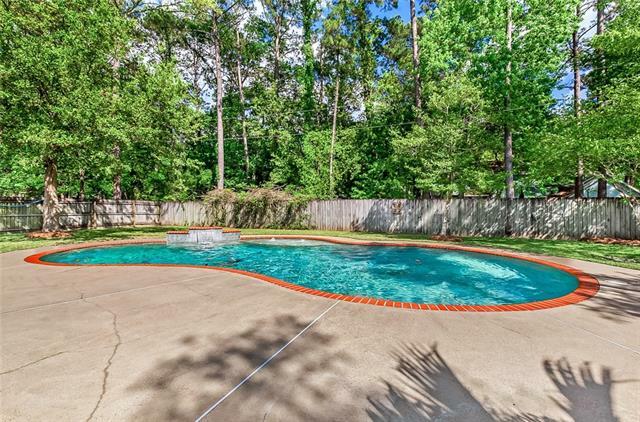 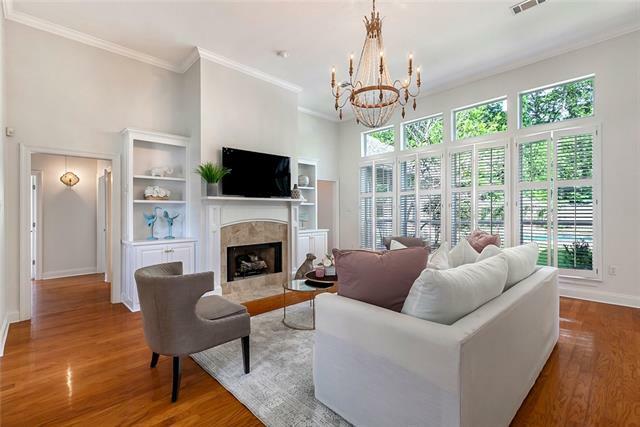 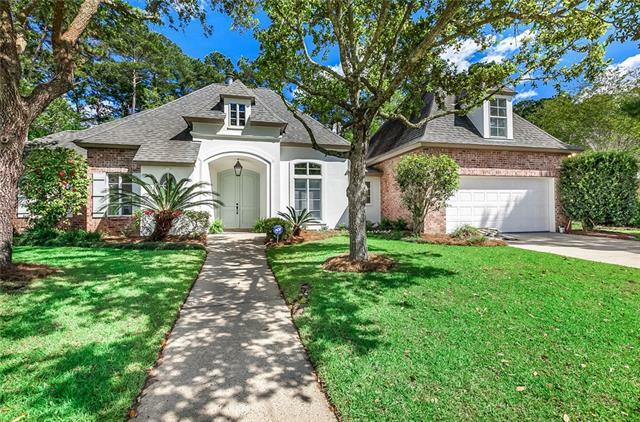 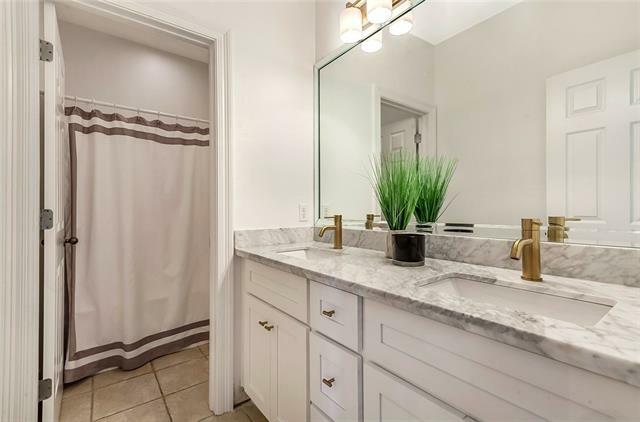 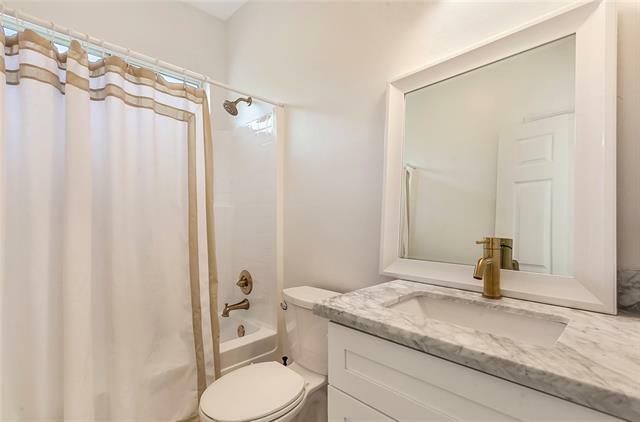 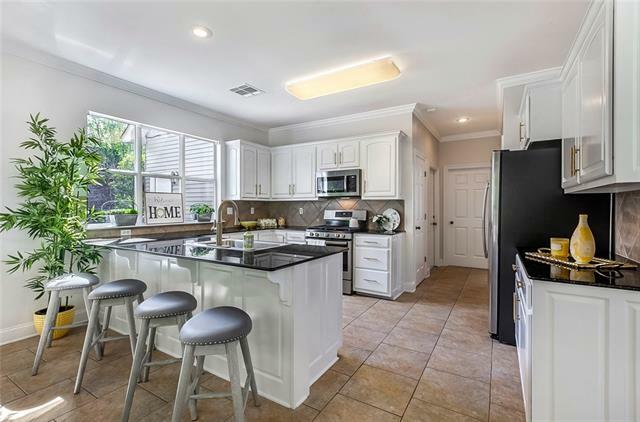 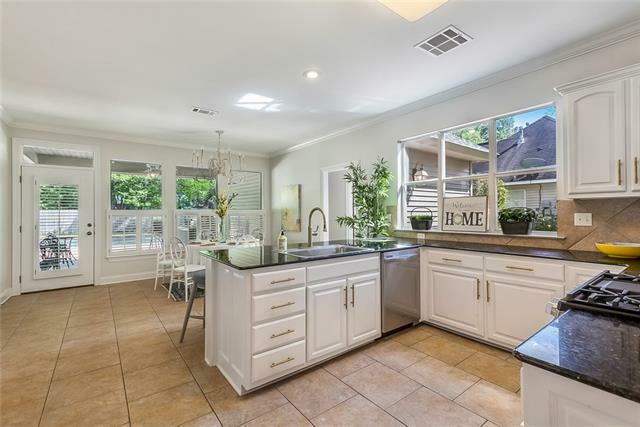 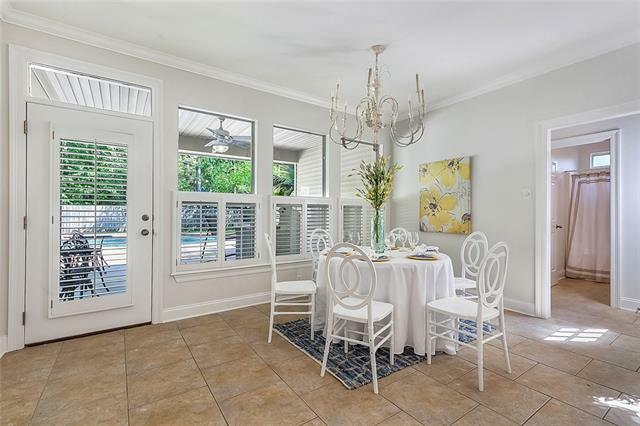 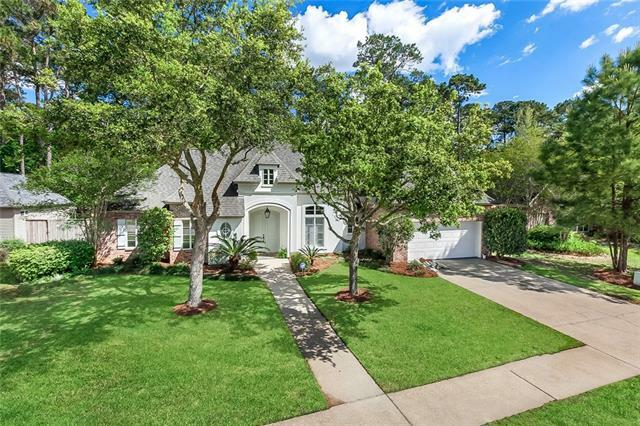 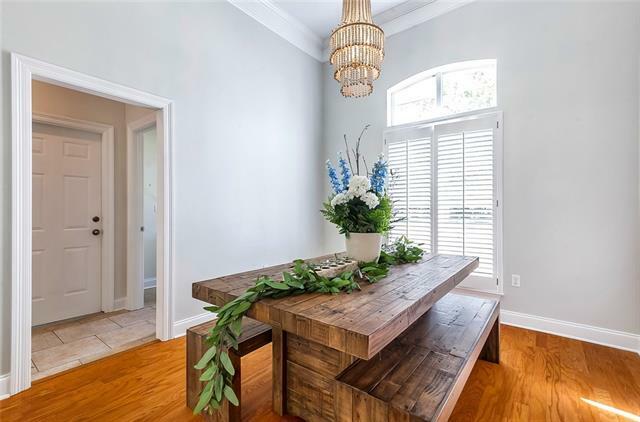 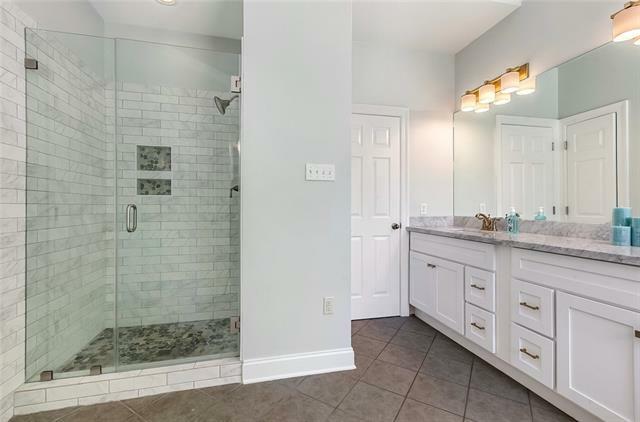 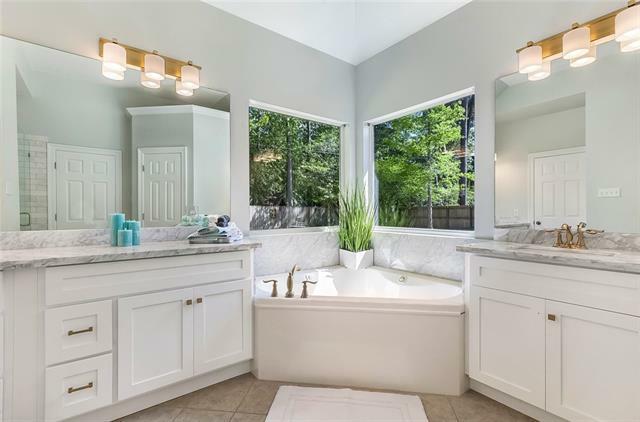 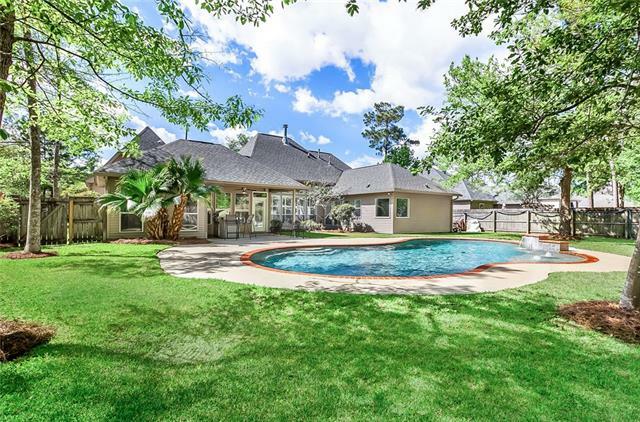 Recently gloriously updated in the latest popular colors and appointments, Be sure to take a look at this 5 br 3 bath home in the Mandeville School District. 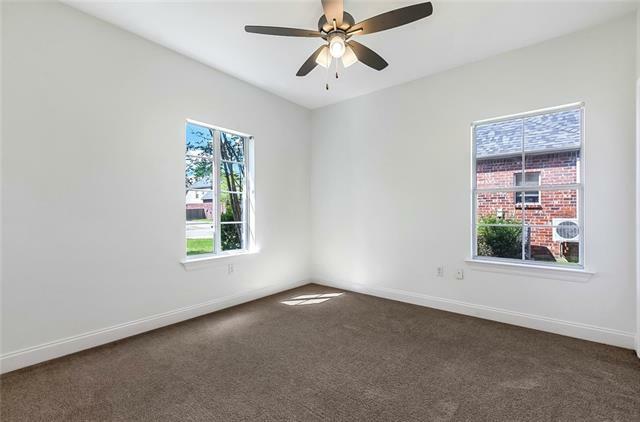 Split floor plan with 3 separate bedroom areas. 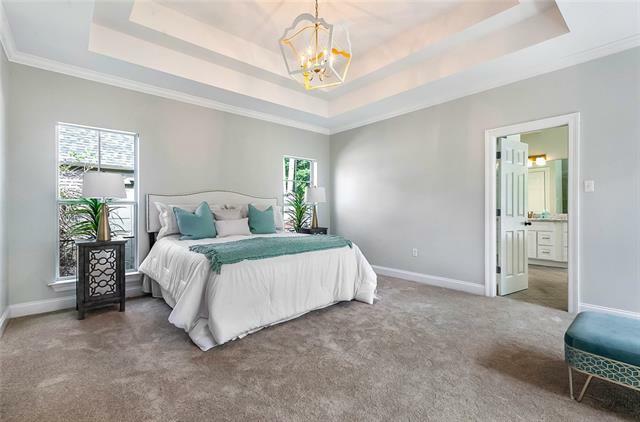 Master suite has a sitting area and large bath with double vanity. 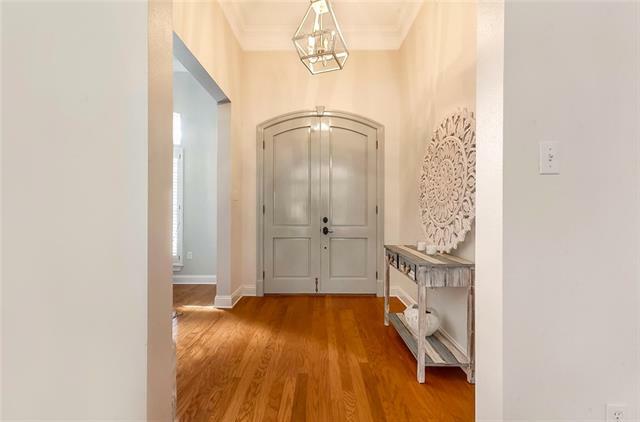 The guest / mother in law suite has its own private entrance from side courtyard. 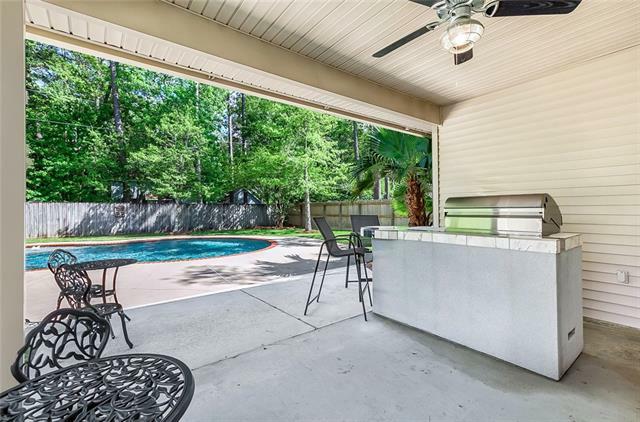 Get ready to enjoy outdoor living and entertainment along side a large pool and covered porch. 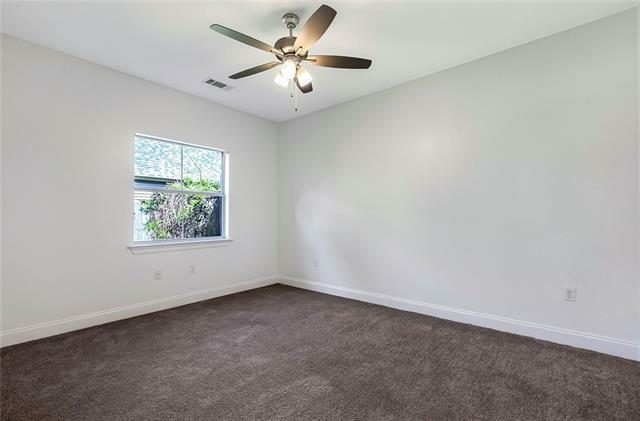 Bonus room above the garage. 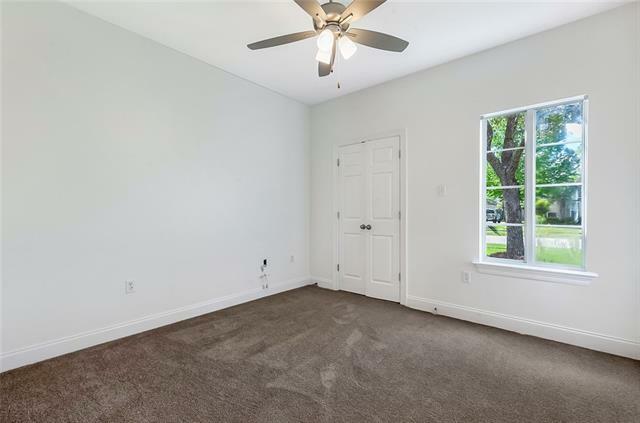 All new carpet in the bedrooms.